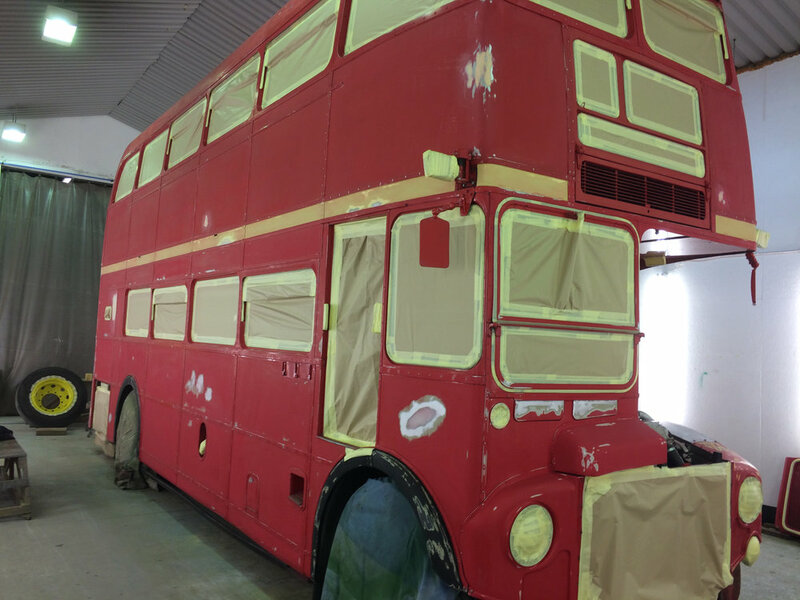 The Red Bus is delighted to announce it is repainting one of its red buses... red. I know, it may not sound earth shattering but at least one of us at The Red Bus had liked the idea of ivory "to make it more of a head turner". We are grateful to all those clients, suppliers and vintage bus enthusiasts who took the trouble to give their opinion on this crucial matter! 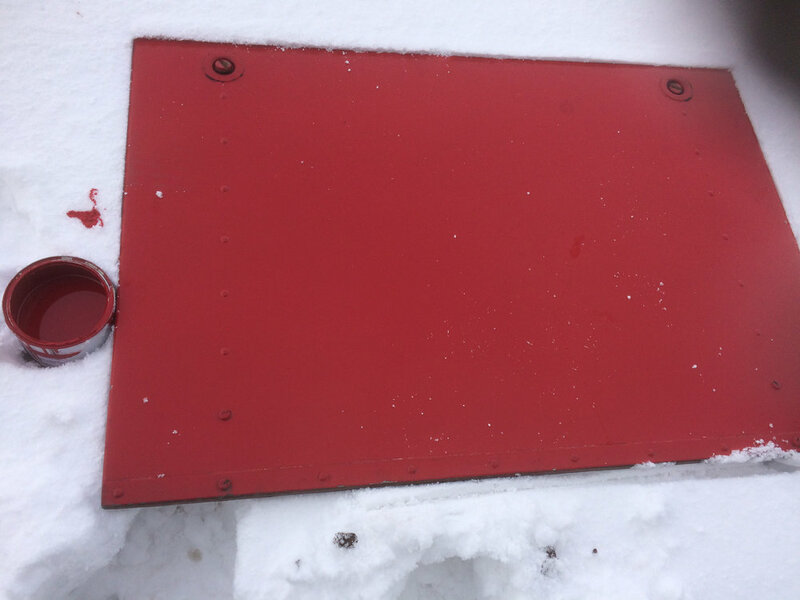 Public response to the colour question had been overwhelmingly in favour of red. "Try keeping a white bus clean," was one example. "My wedding bus was red and it looked amazing against my white dress," a bride wrote. "A white bus will look a bit like a giant ice cream van, without the ice cream," another wit observed. Now RM875 is up at the Scottish Vintage Bus Museum in Fife getting the full treatment from Peter, the Welsh born master craftsman of the bus brush. Preparation and undercoating are almost complete, then it will be three top coats before the application of gold vinyl transfers, a precision task if ever there was one. We'll keep trying to think outside the box but on this occasion we're glad to jump back in.